Consequently, it is the right moment for me to put a momentuous halt to my blogging and to have a bit of fun. But don't worry, I am not completely abandoning my blog during my short week off, because I'll be home chillin' all the while, and knowing how addicted I am to "Rosa's Yummy Yums" I will surely publish a couple of pictures in addition to a guest post (around the 19th of August) and will be on Twitter, Facebook or visiting your sites. 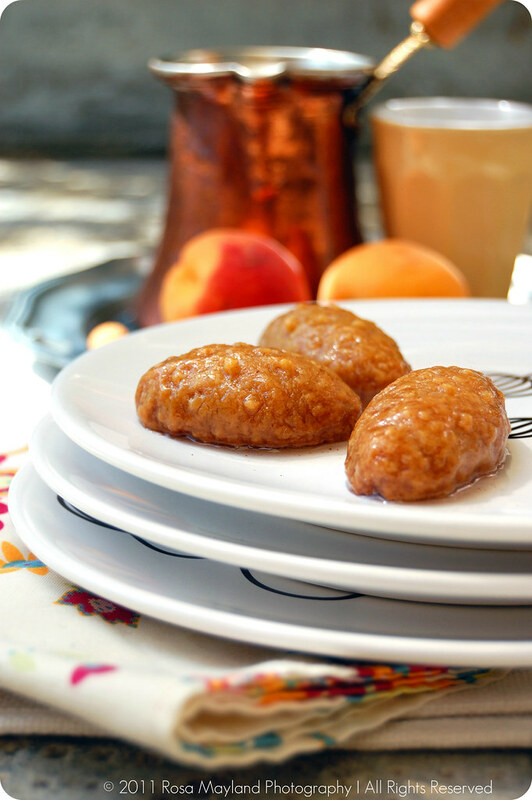 "Kalbura Basti", sometimes also known under the name of "Hurma", are Turkish syrup-drenched pastries that have a riddled appearance. 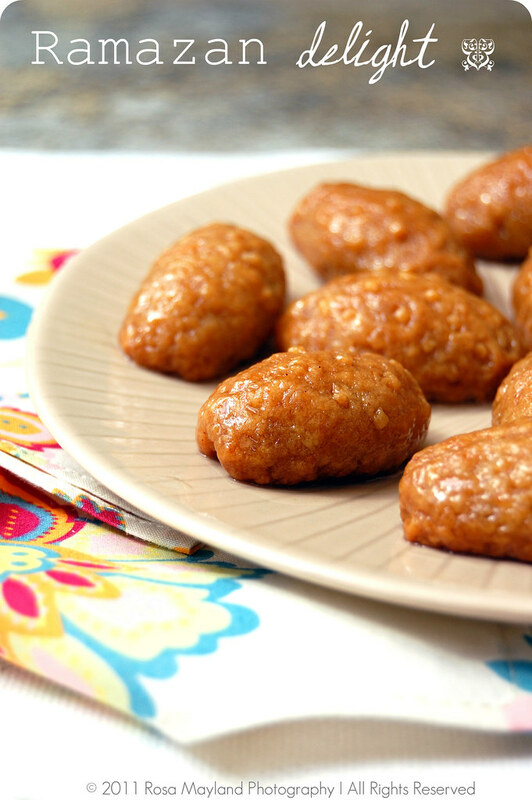 They are featured among the favorite specialities that are prepared for the three-day Candy Holiday (Şeker Bayram aka Eid Ul-Fitr) that follows the holy month of Ramazan (Ramadan). 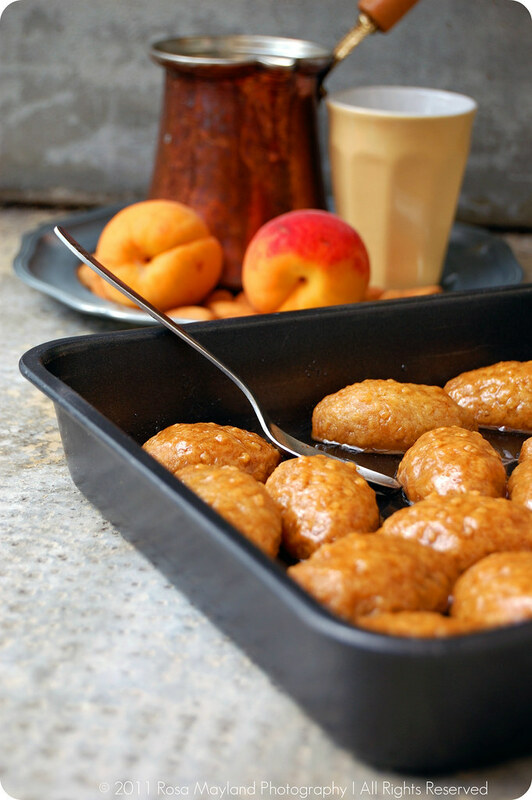 Although this treat is of Ottoman origin, a very similar variation of it ("Hurmašice" or "Hurme") can be found in Serbia, Bosnia and Herzegovina too, since the Osmanli Turks invaded, controlled and influenced those regions. Those date-shaped cakelets are rolled in very original way as one needs a colander, sieve or grater (the side used to grind nutmegs) to give them their unusual looks ("Kalbur" meaning colander). Apart from having a unique form, this speciality cannot be found everywhere in Turkey. As a matter of fact, it is quite difficult to come across it in bakeries or to see it being served in restaurants, because they are commonly baked at home and savored among family members. According to the information I gathered while surfing in search for meager information, "Kalbura Basti" can be stuffed with chopped walnuts and grated coconut, or can even be devoid of any filling just like the version I am presenting today which is very basic. Nonetheless, I have made a few modifications by adding ground mahleb into the biscuit mix and a pinch of cinnamon into the coating liquid. I took the recipe from "Turkish Cookbook" which I had bought on a Swiss bidding site. This book on Turkish cuisine is written by one of Turkey's leading cookery author and Sufi practitioner Nevin Halici who has published nine publications, "Sufi Cuisine" being her latest publication so far. These simple cookies require hardly any ingredients or work (so easy to put together), and they contain no eggs nor butter, yet they are incomparably delicious. It is absolutely impossible not to get hooked on their exquisitely soft and crumbly texture, syrup-engorged and gooey dough as well as absolutely divine nutty, cinnamony and marzipany flavor. "Kalbura Basti" are incredibly addictive. Once you've eaten one, you cannot stop! Recipe adapted from Nevin Halici's "Turkish Cookbook". 1. 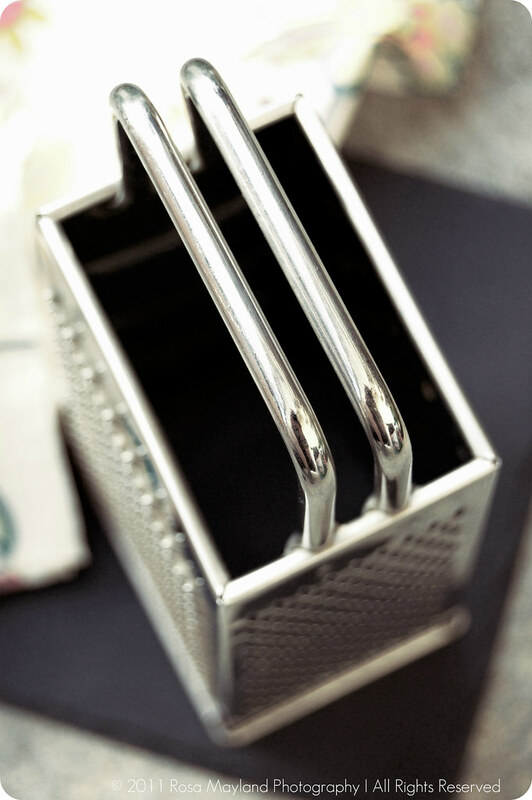 Grease a baking pan or cover it with baking paper. Preheat the oven to 200° C (400° F). 2. In a medium bowl, whisk the milk, olive oil and baking soda together, then add the flour and mahleb. Knead into a smooth dough. 3. Divide the dough into 16 equal portions. 4. Press each piece of dough over a sieve or a shredder with your fıngers while rolling and shaping into oblongs (do not press through). 5. Place the cookies on a baking sheet and bake in a preheated oven for 20 minutes. 6. Meanwhile, in a medium pan, add the sugar, water, lemon juice and cinnamon, bring to a boil and let simmer for 2 minutes or until the mixture is syrupy, then remove from heat. 7. As soon as the cookies come out of the oven, place them in a shallow dish and immediately pour the hot syrup over them. 8. Let them soak for 10 minutes, then turn them over and let the other side soak for another 10 minutes, then turn the cookies around again and let them cool. 9. Serve as soon as the cookies are no more hot. This video (at 0:36 secs) will help you visualize how those cookies are shaped. Serve with a good cup of Turkish, Greek or Lebanese coffee or some black tea. Recette adaptée de "Turkish Cookbook" par Nevin Halici. 1. Beurrer une plaque de cuisson ou la recouvrir de papier sulfurisé. Préchauffer le four à 200° C (400° F). 2. Dans un bol moyen, mélanger ensemble (émulsionner) le lait, l'huile d'olive et la bicarbonate de soude, puis ajouter la farine et le mahleb, puis pétrir jusqu'à obtention d'une pâte lisse. 3. Diviser la pâte en 16 portions égales. 4. Presser chaque morceau de pâte contre un tamis ou une râpe (côté pour râper la noix de muscade) et les rouler afin de leur donner une forme oblongue. 5. Placer les gâteaux sur la plaque et les cuire dans le four préchauffé pendant 20 minutes. 6. Pendant ce temps, préparer le sirop: mettre le sucre, l'eau, le jus de citron et la cannelle dans une casserole moyenne et porter à ébullition, puis laisser cuire 2 minutes ou jusqu'à ce que le sirop se soit un peu épaissi, puis le retirer du feu. 7. Dès que les biscuits sortent du four, verser immédiatement le sirop chaud dessus. Laisser s'imbiber pendant 10 minutes, puis les retourner et les laisser s'imbiber pendant encore 10 minutes dans le sirop. Puis les retourner à nouveau et les laisser refroidir. Cette vidéo (à 0:36 secs) vous aidera à visualiser la méthode de roulage. Servir avec un bon café à la turque, grec ou libanais, ou du thé noir. Hi Rosa, enjoy your break in your beautiful town. These cookies with syrup are the perfect treat. Très sympa ces petites pâtisseries orientales. Je ne me suis jamais lancée là-dedans alors que j'adore ! Surtout le côté "sirop d'enrobage" qui me fait toujours baver ! You ceratinly deserve a break. Thank you for leaving us with these delicious cookies! Hum ça a l'air délicieux!!! J'adore les pâtisseries orientales, toujours un peu long à faire mais tellement bon. 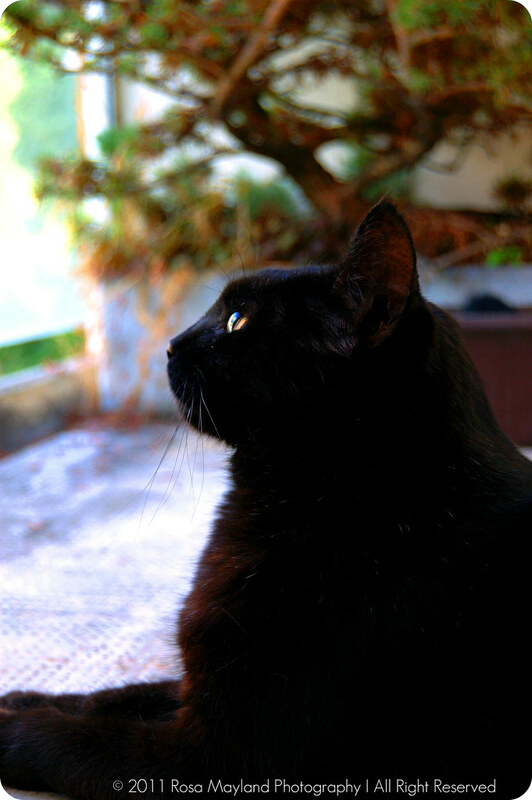 Et ce chat est super beau! Delightful sweet, Rosa. I love Turkish food. Thanks 4 sharing. Very interesting; I thought these were typical Lebanese specialties and now I discover they exist in Turkey and all over the Balkans! 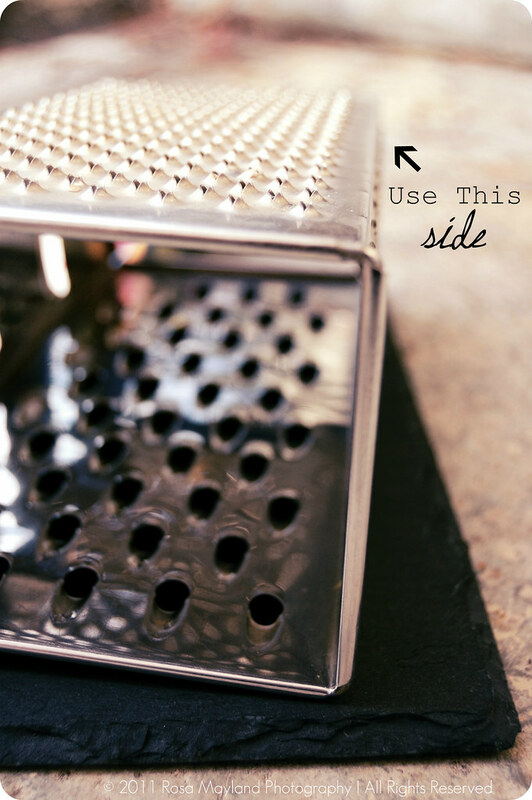 In Lebanon, they are called macaroons and are flavored with anise mahlab and dipped in an orange blossom syrup; I ave found that grating them on a plastic grater enables a good imprint. Yours look beautiful. Bon break... je te vois bien en Turquie faire le plein de sensations que tu sauras nous retransmettre ici. I have never had these but they look so so beautiful and so delicious. These cookies look, and sound delicious...I love desserts that contain olive oil, it lends such a unique quality and tastes! Enjoy, Enjoy, Enjoy!! I also plan to take a break in Sept...lovely sweets. a perfect way to begin you time off.. I love with this fudgy, soft, syrupy cookies!!! Thx for the wonderful insights into this Turlish specialty..And enjoy ur break Rosa...But do come back soon!!! that's a recipe with the current period of Ramadan, I am pleased to hearth subscribed to your site because I discovered many beautiful and good earnings overseas, thank you for sharing. These look so delicious and such a great size...you could just eat one or two and probably be set (although I doubt I would have that kind of self control! )...lovely photos! perfectly shaped and easy to make. Schöne Ferien at home ! Rosa, those look yummy indeed! Have a nice break! This looks really delicious and simple to prepare. Ça a 'air addictif en effet. Looks a delicious dessert. Thank you for sharing this marvelous traditional treat! What a special treat, looks so delish and rich. Enjoy your little break sweetheart! ..These cookies slathered in syrup look so delightful..yum! This cookies look remarkably delicious, pictures look awesome as always. everybody deserves breaks and vacations and so do you :) Looking forward to your gorgeous picture and in the mean time I am drooling at this teat you made ( will take time to memorize the name ) ! J'aime beaucoup la forme de ces mignardises! Encore une recette qui me donne faim.. I adore turkish flavors, especially those found in desserts! These look like little nuggets of heaven. These look like a delight, indeed! Yum! As usual, I love the photos. We should visit Turkey together. It would be so much fun! Hehe. I love your kitty, so pretty! The syrup on these looks delicious! Great to learn of this Turkish treat too. I have a little kitty that looks very much like yours! I've never heard of these lovely pastries, but I would love to give them a try! Their appearance is so unique, I really love it. And the addition of mahlab really sealed the deal for me -- such a great flavor! Exotic looking sweet. I have seen a variation of this sweet here in Bahrain. I hope to visit Turkey sometime this year or early next year. I would love to visit your village and get out of the horrible heat here in Japan.. it was 32 at 8pm... EEEK, love the cookies, and of course, the photos too! I am obsessed with Turkish Cuisine and this sounds like an easy delicate dessert - the kind I would usually dare to make.. aug is a slow month for us too, but with apprehension as the new school year begins! Bet those are fab with a nice cup of hot tea. Yum! I have not tasted this kind of sweet, looks really yummy! Scrumptious sweet treats! Would definitely love one to try! Enjoy your much deserved down time. Enjoy your break dear, chill out and have a wonderful time. Enjoy you break Rosa. These remind me of Greek melomakarona cookies. Very interesting recipe. Thanks for sharing, Rosa. I have added to your followers because of the content offered is very interesting and pleasant to read. Oh...I adore Turkish and Greek pastries - the syrup is the bestpart! Those syrup soaked, kalbura basti cookies look divine! You always provide us with such an array of international, unique goodies! what beautiful photos, and such an elegant kitty kat! The very name Kalbura Basti just rolls off the tongue and makes me want one... hope you get to go paddling around in that gorgeous blue water! see this is the exact reason i need more cookbooks. more ethnic recipes--one can never ever have enough. Those cookies are completely new to me. Love the date shape..so cute. Looks delicious and enjoy your break! A three-day candy holiday? I am so there! Love the little ridges on these cookies! They look very sweet but delicious! Cookies with syrup? Yes please! And let's not forget the coffee! What interesting looking cookies! They sound delish too. I like that there are not a lot of ingredients ... sometimes one needs to make something and supplies are slim! These photos look STUNNING and the cookies could not look more delicious. I hope you are enjoying your time off. this looks amazing:) thank you for sharing this and for stopping by. you are truly talented!! After all this time in the blog world just when I though it would be difficult to be surprised, you come up with this great new cookie recipe9atleast for me). Fabulous job n love all the pics! 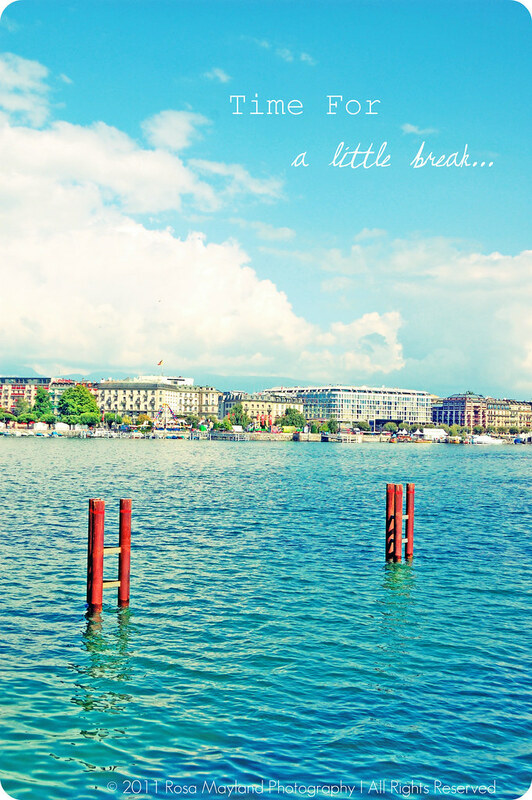 I have to say that the feeling of August in Italy is something I really miss - you describe it perfectly in this post. Probably Switzerland and Italy have more than one thing in common! There is something magic about a whole population just stopping for a while. Enjoy the break! The cookies looks really beautiful. I've never tried them. I love this desert alot, we make it at Eid el Berbara, or Barbara's Holiday. My recipe is a bit different, hope you could try it and tell me what you think. The pictures are delicious. Those cookies!!! They look beyond amazing. Must make soon. Such a pretty cat! I used to have a black kitty as well. Cool photos and a lovely cookie! I've only had a few Turkish dishes, but after seeing your cookies know I would love the food. Rosa, these cookies look delicious, love the syrup with lemon and cinnamon...what a great tasty Turkish treat. I hope you are having a great vacation! i love how you can transport your readers to a country you've not even been to through your research and yummy description of the dish! Bravo! Hope you are in the midst of a wonderful vacation Rosa. Intrigued by these very simple yet ever so exotic cookies. I love the way a lot of ME sweets use a sugar syrup in them. This recipe is exotic! it's so exciting when normal, everyday ingredients come together to create something so tasty! Oh..these are totally new cookies to me, Rosa and love the texture and shape of these cookies. I love your pictures of the lake. I live in Switzerland as well, glad to meet another "local" food blogger! Enjoy your break, dear! These sweets are a discovery for me, they look delicious and have such a cute shape! Fantastique ces petits gâteaux dégoulinants de sirop, j'adore les pâtisseries orientales et celle-ci est sans friture, c'est encore mieux. Good break ! I could't agree more about the Turkish art, architecture and food. It's incredible. The recipe looks like one of those perfect snacks you go to when you want something tasty but not sickly sweet. I'll give them a try this weekend. Enjoy the rest of summer! These are my kind of cookies mmmmm plus walnuts can be gorgeous! I never tried anything like this, yummi! With tourists everywhere in NYC right now, a ghost town sounds lovely; want to switch for a week?! I've never tried anything like your gorgeous creation, but it looks delicious, and I want it in my life very soon! Il y a toujours des recettes etonnantes et inconnues chez toi, une grande curiosite pour les cuisines d'ailleurs. J'adore. Comme Gracianne, je ne connaissais pas. Belle découverte. I have never seen these pastries. This is something new to me. Looks delish! these look so moist and delicious. I wish I had some! I didn't know what kalbura basti is when I heard it in a Turkish movie and I google it. With great amazement I discovered that is the same sweets we "the Greeks" make for Christmas along with others. We call them honey- macaroons because we make the syrup with honey. There no Home in Christmas without these! Even the imprint on the top is the same. But we make also some chocolate ones after the syrup.